Skincare has become such a huge part of my daily routine lately and I’ve therefore discovered so many incredible products I’m obsessing over. 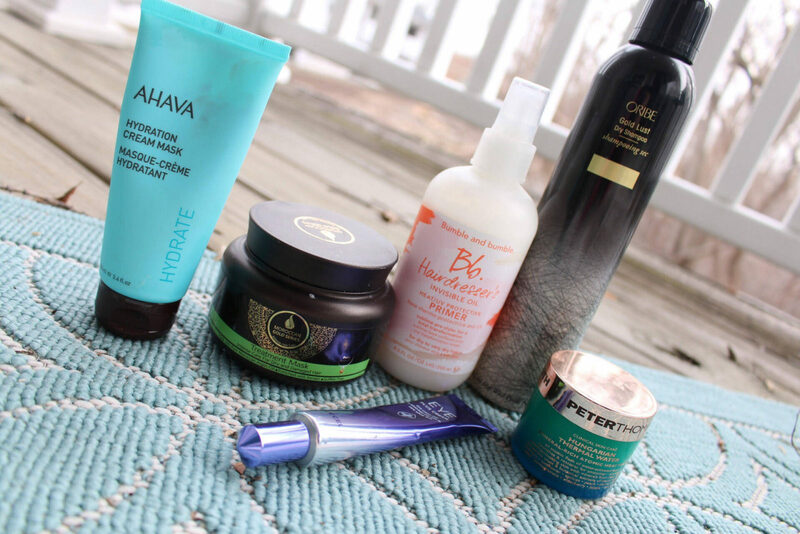 I wanted to share with you guys an updated skincare favorites post and let you in on some great products I think you all will love just as much as I do! Ahava Hydration Cream Mask: This is super hydrating and makes your skin feel silky smooth. I love applying this before bed or right when I get out of the shower on a fresh face. Moroccan Gold Series Hair Mask: I have never used a hair mask that makes my hair so silky smooth. I almost don’t even have to brush it when getting out of the shower. It’s THAT good. Plus it smells amazing. BB Invisible Primer: This stuff makes my hair a lot less frizzy and dry. I notice my hair has also become a lot less damaged at the ends due to all of the heat products I torture my hair with. Dewycel Eye Cream: This is not a very well known product but I swear by this stuff! I recently discovered this and nothing takes away my forehead lines like this stuff does. It’s almost like magic how fast it works and it makes your makeup go on flawlessly. I have linked this product here for purchase. Oribe Dry Shampoo: This works like a charm for those days when you should wash your hair but just don’t have the time to. Or when you just need a refresher. Hungarian Thermal Water Mask: Good for all sorts of skin types this anti-aging masks has really brought my skin back to life and mad my skin look more youthful. It also helps with the dryness of my skin during the past cold months, which I love!